I started Insanity workout last week in hopes to shed 10 pounds, pounds that I gained during marathon training last fall, and also to tone up a bit. This workout is awesome, and I’m insanely hooked! 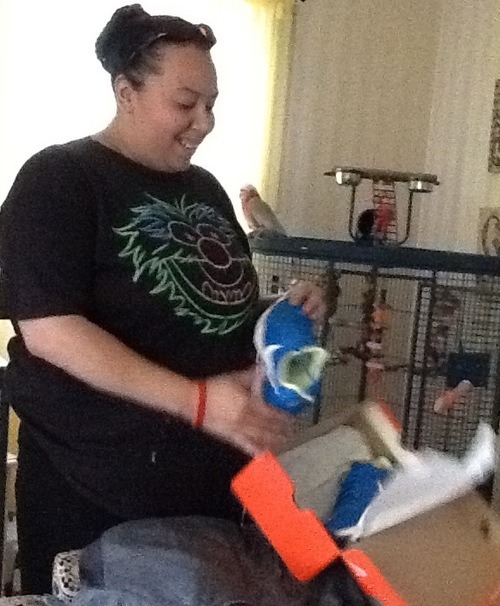 I didn’t know what to expect, so I started with the fit test as scheduled. Now, I know what you’re thinking – I’m really out of shape for a runner, aren’t I? The fit test had me so tired and out of breath. Good thing the fit test is only that day’s workout because I couldn’t picture doing a workout after that! I was so pumped to get started. Shaun T is great: he walks you through and if you can’t do it, don’t stop the DVD. Take a break but don’t pause and continue later or you’ll risk injury. The plan is to build endurance in time (as all exercise should). This workout was hard, but then again I can be quite dramatic. I had to stop a few times to catch my breath and drink some water, still I finished and felt good. Followed with Vega Sport Performance Protein, which helps the body recover from tough workouts. Went to bed the night before with my workout gear already on and got up at 5 AM. This workout was a bit tougher than the last, with faster repetitions. Got through the workout after a few water breaks and finished strong and energized. After a 13-hour shift, I got home and started pure cardio. I was nothing but a pure, hot mess! The workout is high intensity with a lot of jumping, planks, push ups, etc. Could not even get through the warm-up; I had absolutely no energy. Stopped and called it a night. Day Five – Back to the plyometric cardio circuit, which was my favorite workout so far. Attempted to do this after work. Made sure I ate really well and kept hydrated all day, still I had no energy. Workout day two, fail. I was under the impression that I was doing everything right until I wrote down every single thing I was eating and plugging it into My Fitness Pal. The problem? I was not eating enough calories, hence the lack of energy. I had no feelings of hunger, and I was forcing myself to ingest the calories my body was missing. This doesn’t take into account the calories burned through working out, which placed me at a huge caloric deficit. I also realize that my job, at times, has a huge impact on my mood and there are days when I come home mentally and physically exhausted, and this affects my life, and my training. I’m starting Insanity back up tomorrow and hopefully I can get through this okay. It’s okay to stop and get myself together, and it is okay to take a break. What isn’t okay to me is giving up. 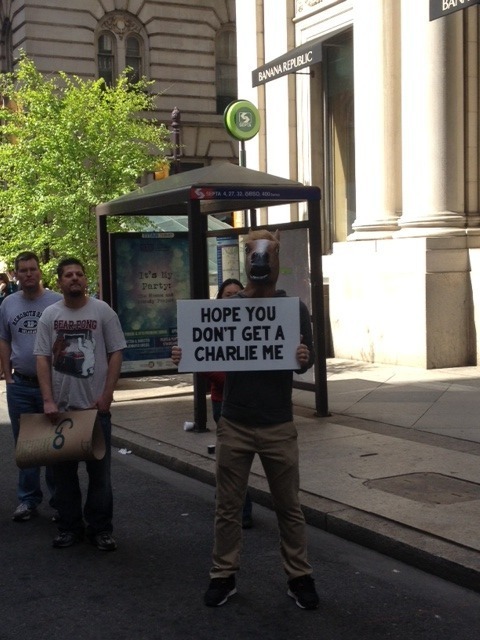 I was really looking forward to this year’s Hot Chocolate 5K in Philadelphia. It was my sister’s and my two friends first 5K, and I was so excited for them. 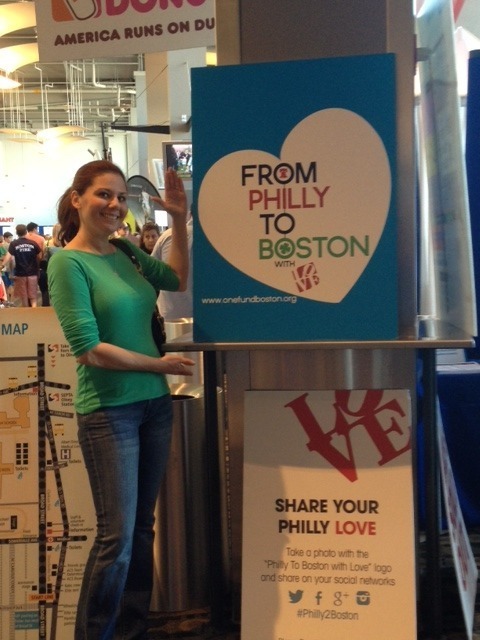 The race packet pick-up was at the Philadelphia Runner store in University City. I wished it were at the Center City location since it is a bigger store and closer to amenities. This store, while heavily crowded, everything was organized – from bib pickup, to packet pickup, etc. The volunteers for HC15K were very nice and friendly. Stopped and picked up some Insomnia Cookies right around the corner in Drexel University campus. These cookies will change your life! This guy who reminded me of actor/performer Mos Def, took my order and proceeded to take these cookies out of the warmer. The chocolate chunk melted right in my hand and the sugar cookie was so buttery rich. I tell my sister, “Find out if the sugar cookies have jimmies.” She tells me, “Do you know that only Philly people say jimmies? Everyone else says sprinkles!” Hahaha….jimmies it is! Sunday morning, I drove down to the Art Museum and parked a mile away. Roads were blocked off everywhere. I didn’t even drive for my marathon and I drove in for a 5K? I hate driving downtown, the congestion annoys me to no end. Everything was easy to find – corrals were marked A-E had no walkers and the 5K participants lined up around 6:30, with a 7:15 AM start. It was well-organized and started right on time. Race Line Selfie with my sister and my buddies! 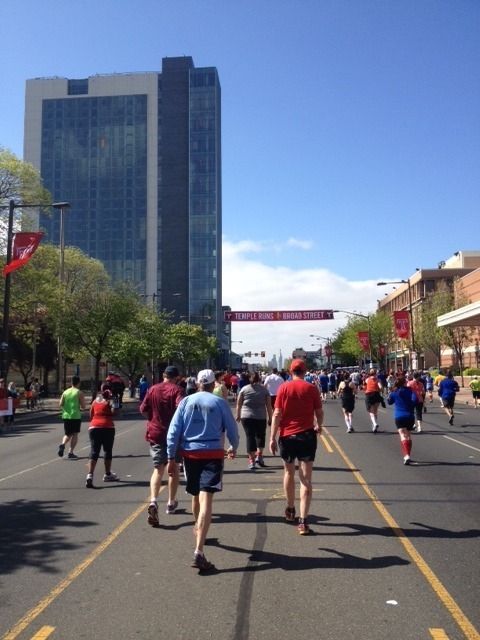 We started right in front of the Philadelphia Museum of Art and ran west towards MLK Drive – Boathouse Row was on your right (starting out) with I-76 on your left. It’s an out-and-back course. There was a hydration station around mile 1.25 (maybe?). It was so cold and windy but once the sun came up, it warmed up a bit. I’m always cold. Unbeknownst to me, my sister hadn’t trained for the 5K; she knew about this for months. She started out jogging and after 3 minutes just walked the whole thing. I stayed and walked beside her, I didn’t want to leave her behind. We crossed the finish line together in what was my slowest 5k ever: 46:03. It was worth it! The Hot Chocolate Run hoodie was awesome, and also the finisher’s mug with the marshmallow, banana, graham crackers, pretzels, hot chocolate and chocolate fondue – a chocolate heaven! After the run, we stayed and danced to the DJ and ran into David, the race director from Bucks County Half Marathon (nice guy) and chatted briefly. That run is coming up here in 5 days and I’m super nervous and excited! Can’t wait!! Weather is supposed to be nice, too. Tried getting breakfast at Green Eggs and Honey’s and failed. Thank you, Silk City Diner for holding a spot for us until we got there. We were cold and hungry. Can’t wait to do this run again next year. These past two weeks have been insanely busy juggling work and life, and while I have missed some of the weekly training runs, I had to accommodate my schedule to fit in the long runs. I truly dislike knowing the fact that while I tried my best to follow a training program as perfectly and as strictly as I could, it just hasn’t been possible. 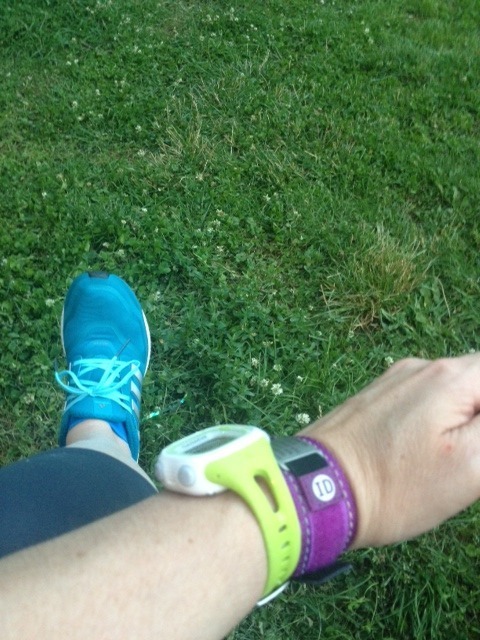 I leave for work at 6 AM and return home after 8:30 PM and most of my runs have been on the treadmill (with the exception of long runs, which were outside, thank goodness!) I hope that it is enough to carry me through and help me to finish strong. My last long run was last Saturday, a 20-miler that went well until I “hit the wall” at mile 14. My sister surprisingly showed up at the park carrying bananas, pretzels, water and Gatorade, and I caught my second wind, finishing in just under 4 hours. Here we are, 18 days before the marathon. I’ve got a 14-16 mile training run this week, then tapering begins. I’m so nervous and keep having dreams about everything that could possibly go wrong – it’s simply a fear of the unknown, although deep down I know I’m trusting my training. I’m debating running without my Garmin, too. Any marathoners have any advice/tips for a new marathon runner? Ate a sandwich for breakfast and some coffee and headed to my new favorite place to go running. Each loop is 4 miles, which is great in case I need to get to my car. Sadly, I’m injury-prone. Took an organic honey stinger, grabbed my Nathan handheld water bottle and headed out on my 16-mile run. First 4 miles went great! The weather was cool (low 60’s) and very little humidity. Average pace 9:50/mile. Back at my car after the first loop, stretched my legs, grabbed some Nuun and was back on my way. Felt my pace slow down considerably. My legs were feeling heavy. Average pace 10:50/mile – so much for negative splits!!! Mile 8, and half way done. Bathroom stop, fuel, go. On my third loop for miles 8-12 and kept my pace. May have seen a certain someone drive by, although I’m unsure because I refused to look, someone that I used to know…made sure I ran fast and looked good. 🙂 Average pace for that one mile: 8:25, for the whole loop, 11:04. I’m slowing down again. Miles 12-16: the kettle bell exercises may have done me no good – my hamstrings hurt so bad!!! Mile 14: I could not deal with the pain, so I walked most of 14. I decided to start running again since once you start walking your body just feels worse. I made it to 16! Back at my car, I downed some water and stretched for a bit, then drove to get my chocolate milk at the Wawa. Once home, took a shower (I don’t have a tub, so I can’t take ice baths), then put on my compression socks, ordered dinner and watched movies on FiOS all night. Today I’m at work, limping but otherwise good. 16 is the longest run I’ve ever done. Once I ran 14, it was all mental. I started to walk a bit at mile 15 and a guy got up from his picnic table and encouraged me to run for 0.25 mile. Funny thing is, he’s a fellow RN! Very cool. Monday: 16 miles – done. Wednesday – 4 mile easy run ( indoors because I’m working). Thursday – upper body/core workouts. Friday – 8 mile run. Sunday – 12 mile run. It’s do hard fitting in runs/workouts with my schedule but I’m determined to do it. Thankfully this week I worked less hours than last week, which enabled me some time to enjoy the outdoors and get running. Food: Eating wise, I had a very good week, with the exception of a small slice of graduation cake 🙂 My weaknesses are mainly carbs, (bagels, soft pretzels) so my Mom suggested that I slice bagels lengthwise, therefore cutting an entire bagel into four slices. Top it with almond butter and half a banana, low-cal cream cheese (Laughing Cow has a 45-calorie wedge cream cheese spread), etc. I find it keeps me full and doesn’t make me miss eating the whole bagel. Training: This week is week 3 of training Janice to run her first 5K. She’s doing amazing!! She is now doing a run 2.5 minutes, walk 1 minute and is up to 2 miles. She’s also down almost 8 pounds since we started. We’re doing the Jeff Galloway program, which she downloaded into her iPhone and we train for 3 days per week. On her non-running days she plays basketball with my niece who is looking quite svelte herself since taking some tips from Janice and myself. 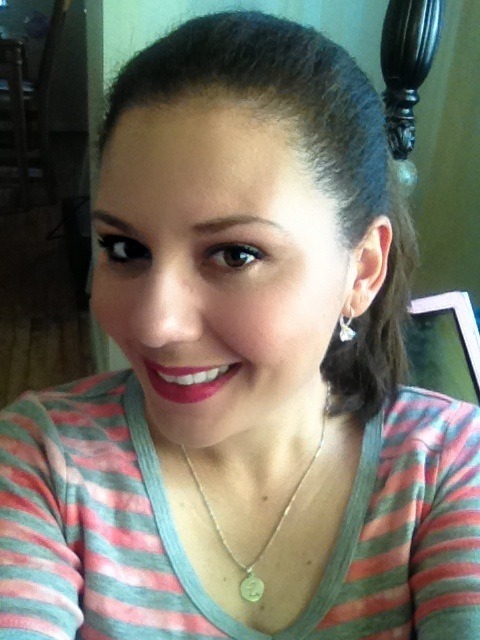 Look for her guest post early next week here on the blog. Running: In between work and other things, I managed to run twice this week: once indoors and once outdoors. I ran/walked 7 miles on Wednesday. Fastest mile was 8:10, but it was also the first mile. Somebody please smack me for not running negative splits!! I get too excited and tire out in the beginning – not good. I’ve been “trying” to do Turbo Fire but my lack of coordination makes things worse and I just sit back down. I love the energy I feel when I’m doing it but when she starts adding on moves and moving mega-fast, I lose it. I started Hip Hop Abs instead and I like it. 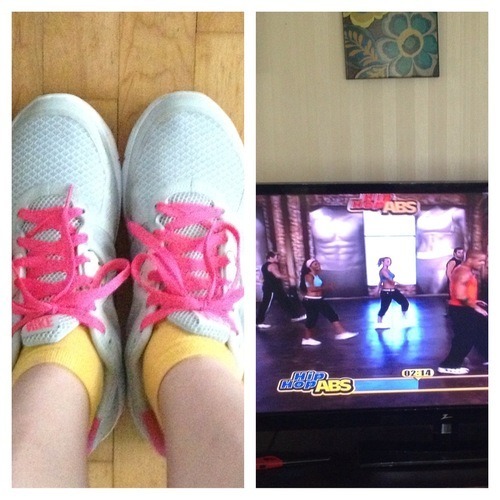 Shaun T is hilarious and makes the workout easy and fun. It’s actually not even my video, it’s my mother’s and she refuses to lend it to me, “Buy your own copy!” haha 🙂 At 60, my mom is fit and works out daily. I’m so proud of her. Everything else: I colored my hair and it turned out too dark. I don’t completely hate it, but after my gorgeous hair color turned brassy, I had to fix it. It’s about two shades darker but hopefully it’ll lighten up or I’ll be back at the hair salon. Getting my last run of the week today as my friend is coming to visit and stay with us for the weekend from NYC. Haven’t seen her in 3 years so I’m looking forward to this weekend. Two weeks ago, my sister Janice asked me to help train her for a 5K, specifically the Electric Run, which is taking place on Saturday, July 20th here in my city, Philadelphia. Aside from playing softball in high school, my sister Janice has been a complete couch-a-holic, living quite the sedentary lifestyle. Using a modified Jeff Galloway 5K program, last week I began training her and her best friend Stephanie for the Electric Run. We started each day with a 3-minute slow-to-brisk walk followed by a 1 minute jog/1 minute walk for a total of 25 minutes. It’s a 2.5 mile loop, followed by a 1 mile walk to my house, the starting point. A 5k run/walk that is as much show as it is run. Electric Run™ is a 5k run, a show, participation art, and celebration of life. Incredibly talented artists and lighting technicians with experience creating beautiful art and light at Coachella, Dreamworks Animations, Disney, and some of Vegas’ hottest shows have come together to create a world that will fill you with wonder. It’s Monday morning and my sister has lost a total of 5 lbs!!! I have never seen such glow in her eyes. Her motivation and determination amazes me. We have had thunderstorms here in PA these past few days, including today, so we will take our training indoors on the treadmill. This month’s issue of Runner’s World Magazine has not only wonderful and helpful articles, but coverage on the tragic events that occurred this past April in Boston. It’s an absolute must-read! 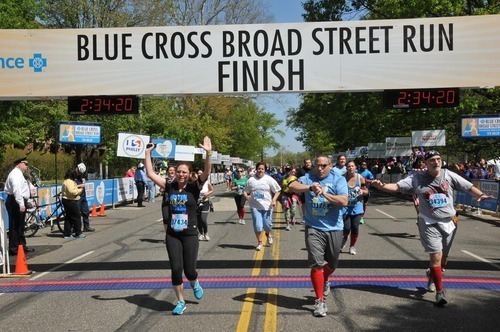 In it, there’s a 20-week marathon training program and it has a starting date for those planning to run the Philadelphia Marathon this November (that’s me, eek!!). Training date is July 1st! I’m currently training for the Disneyland Half Marathon, which will take place in September. I really wish I’d signed up for the Dumbo Double Dare (a 10-K on Saturday, followed by a half marathon on Sunday for a total of 19.3 miles) but when I was registering, I was plagued by doubts in my mind of whether or not I could do it. I listened to my head instead of my heart and missed out on that wonderful opportunity to run the Dumbo on Saturday. Anyway, I’ve been feeling better since visiting the chiropractor and using that foam roller. Is foam rolling supposed to hurt this bad? I feel the pain in my bones when lying on it and rolling my IT Band. This past weekend, my hospital switched over to a very unfriendly computer charting system that has every nurse stressed to the max. Everyone brought in munchkins, (there must’ve been at least 500 of them!) along with cake, sandwiches, chocolate, candy, etc. It was bad!! After coming home last night, I decided to run on the treadmill. I finished 4.3 miles on a comfortable pace. Started out at 12 mm, 11, and finished with a 10-minute mile pace. If only I did that at races! I tend to start out fast and feel tired half way. Today, I’m going to do some Turbo Fire and rest since I’m working the rest of the week. Hope you have a wonderful week!!! Just as I’d suspected, I’m suffering from iliotibial band friction syndrome. I trained for my first race, a half marathon, entirely on a treadmill, since I trained during the winter months and I truly hate feeling cold. The first time I ran in years outdoors was during that half marathon, and while I wasn’t in pain during the race, I was in pain afterwards (knees, hips). I continued running on the treadmill without feeling pain, and trained for another half marathon which would take place two months later. That’s when I felt it. The hills on that course were so steep that I walked most of the way after passing mile 10. My hips were in excruciating pain, and all I could do was cry and realize that finishing sub-2:30 was not going to happen. 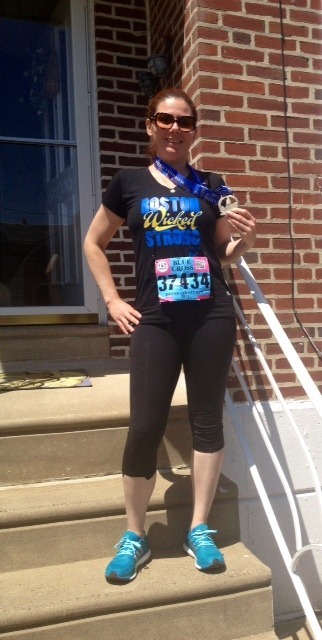 Almost two weeks ago, and two weeks post killer-hills half marathon, I ran the Broad Street 10-miler. Mile 8 and I’m just pushing through the pain at this point. I’ve been in constant pain since. A pain so sharp that I spent the last two weeks standing because sitting hurts, and of course, no running. Today I went to a chiropractor who specializes in sports injuries who was kind enough to see me during his lunch hour. He said I had iliotibial band syndrome and helped me with stretches, aligned my hips and massaged the area with an über-painful machine, which left me literally screaming. I scheduled two deep tissue massages for next week and need to continue cryotherapy, gentle yoga and a break from running. I’m mad that when I went to get fitted for running shoes, right around the time when the IT Band issues started, the guy said it didn’t appear to be ITB issues. $150 in running shoes later, which I couldn’t return and absolutely no relief. Lesson: Never buy running shoes you can’t return after trying them out first. A good running store will allow you to return your shoes until you find the perfect fit. Running shoes are NOT cheap!!! I’ll be updating on my progress (hopefully I’ll make some) as I go along. Have a great weekend, friends!! I’ll be in the NICU all weekend with my babies. There’s something a little more special about running in your city. 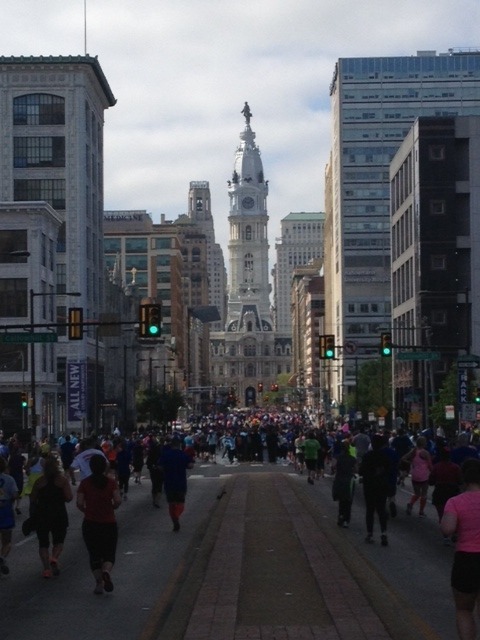 Yesterday, Cinco de Mayo, the largest 10-mile run in the United States was held here in my backyard; the City of Brotherly Love, Philadelphia. I was very excited once I was picked to run this race, but once the date got closer, I became nervous because of its size, but that all changed yesterday. 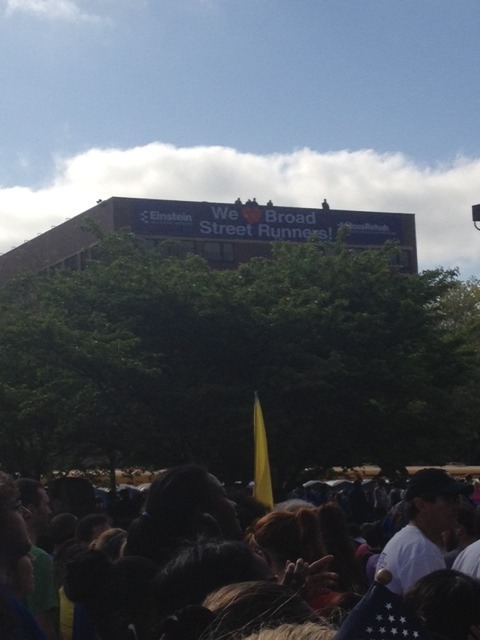 The Broad Street Run Expo was a two-day event, held at the Lincoln Financial Field, home of the Philadelphia Eagles. I had to work on Friday, and so I went on Saturday. I found the expo to be well-organized, and because there were so many people there, at times it felt crowded. Every vendor there was out of red socks!!! 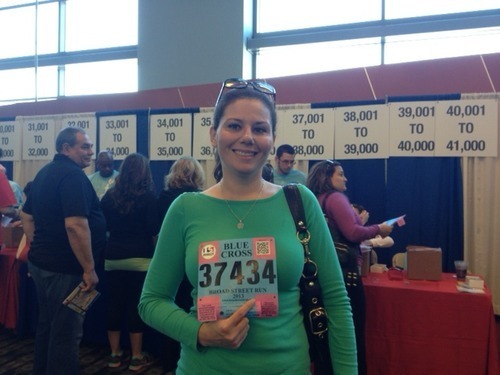 Picked up my bib (not even a minute in line! ), then headed to pick up my tee and my goodie bag. Walked around and walked out proud that I had not spent a cent at the Expo. How did that happen? Maybe it was the excitement for the Phillies tailgate party that would soon follow. Left early, around 5:30 AM, (leaving my water bottle, bananas and iPhone case at home) and headed to the stadium. I’m glad I arrived early as it was not crowded yet. Walked to the Broad Street Line and a SEPTA worker was checking bibs, (which were your free ride pass) and the ride was about 25 minutes into the Olney Transportation Center. It was freezing cold and windy, so I hung out at Dunkin’ Donuts to warm up with hot coffee and chat with fellow runners for a bit. Headed to the corrals and found a small group of runners sitting on top of the steam vents and I joined them. The first corral took off at 8:30 and the pink corral, the last corral, took off at around 9:10. Funny how the clock on the starting line read 47:10 when we crossed it and the winner had already finished!! High-fived Philadelphia Mayor, Michael Nutter at the starting line and was on my way. I started off slow, annoyed that neither my Garmin was picking up a location or that my Pandora One was not working. The Garmin picked up a signal and kicked in after mile 2 and I just listened to my last half marathon playlist, no big deal. It was great running past the houses and seeing people bright and early on their steps cheering on us runners. First three miles were not quite downhill but it was flat. I was still in pain, the cold weather wasn’t helping and it took me a bit to warm up. Signed myself up for runner tracking and didn’t get a text once I crossed the 3-mile marker, which left me wondering whether my chip was working. 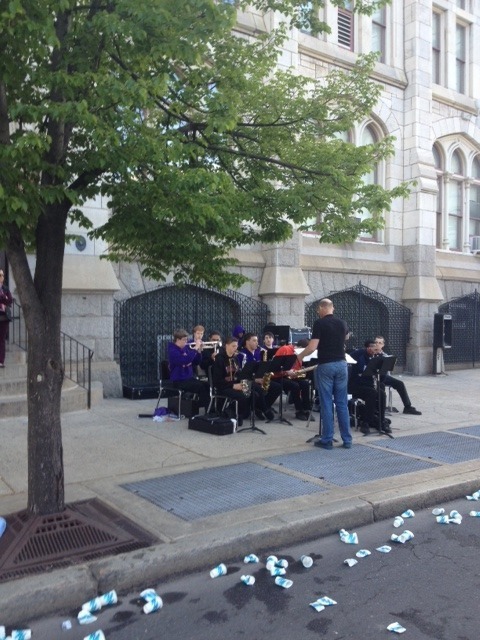 Once we arrived at Temple University, there were bands playing on the sidewalk, including the Temple Owl mascot. Students cheered from their dormitories and it was loud and exciting! The best part was seeing all the children that were out and about high-fiving us. Right at the corner of Broad and Walnut, in front of the Hyatt at the Bellevue, was former Philadelphia Mayor/former Pennsylvania Governor Edward Rendell who high-fived me on my way down. That was a nice little energy boost! Mile 8 and I felt like I’d hit the wall. My legs felt like iron and I couldn’t even open my package of Clif Bloks. Stopped by a water station and the man who handed me water said, “You can do it. 2.2 miles to go”, to which I replied, “Yes, I can do this!” I thanked the volunteers and went on. Mile 9.5 and a quick glance to my right and there is Peggy, a woman who touched so many and who inspired so many of my Princess Posse friends. I choked up, gave her a hug and got a picture with her. She was in Disney when I ran the Princess Half Marathon but I missed her. She is simply the best spectator ever!!! Enter the Navy Yard and I’m just a short 0.25 miles from the finish line, but these hips and knees hurt and that last 1/4 mile feels more like 5 miles, just never-ending! Crossed the finish line at 1:57:37. I didn’t have a time goal, I ran to enjoy my city and to have a great time, and I did. I’d be lying if I said that I had more fun at the Disney race. Lindy with her ugly cry face at the finish line. I hope to “win the lottery” again next year and run this with 39,999 other runner friends because I’d do this again in a heartbeat. Not a single second did I feel unsafe. Look who I found on my way back to the car!!! 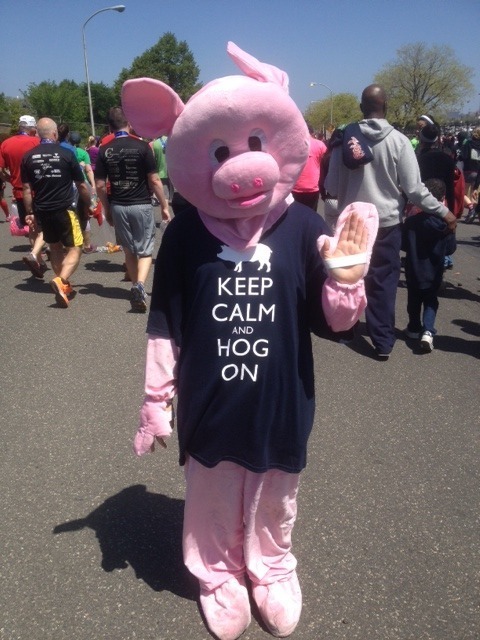 Jog n’ Hog!!! Thank you to everyone who made this happen. Note to self: Do not compare yourself to other runners! Comparing myself to other runners is something that I’ve been doing since the day I started distance running. Having a time goal in mind is not a good thing when you’ve never attempted a race before. During Disney’s Princess Half Marathon, I had a goal in mind, not one that I wanted but that I had to have, and guess what? It didn’t happen and I increased the risk of injury. My goal after that became to cross the finish line. That didn’t last long. My last half marathon was better than the previous one, but I was still upset about it. Having finished a half marathon before, I created a time goal in my mind and once I knew I wasn’t making that goal either, I switched mind set and it became my goal to finish. I wanted a sub-2:30 half and since the course was very hilly I knew I was in trouble. I never wanted to see the finish line so bad. I kept my eye on certain people that I was determined to pass and not let them pass me. While it was challenging to keep that goal, it also increased the chance of injury because I was forced to run at a pace that was beyond my comfort level, and I got injured. Today I went for a 4-mile run at the park and took my dog, Sophie. Sophie is a highly-energetic pup, but we have not run in the park in two years, we’ve just walked. Lately I’ve been running sub-10:00 mm and was upset earlier today that I didn’t hit that. Sophie was excited to be running at the park and I had to go at her pace of course, running at 11:00-11:30 mm. Runners, fast runners passed us and I would glance back and wish I ran that fast! It’s not how fast I can go or how far, it’s about creating a goal and getting there safely. If I have to take walk breaks, I will do so, and I will not compare myself to other runners because we all were beginners at one point. I’m my own worst enemy and I’m determined to change that!! Bedtime yoga time, good night.